In an acknowledgment the effects global warming have had on California, a coalition of local fire agency leaders have urged Governor Brown and state lawmakers to provide an additional $100 million in state funds for pre-deployment of staffing, apparatus and equipment before extreme weather events and for improved communications throughout the state’s Mutual Aid Response System. 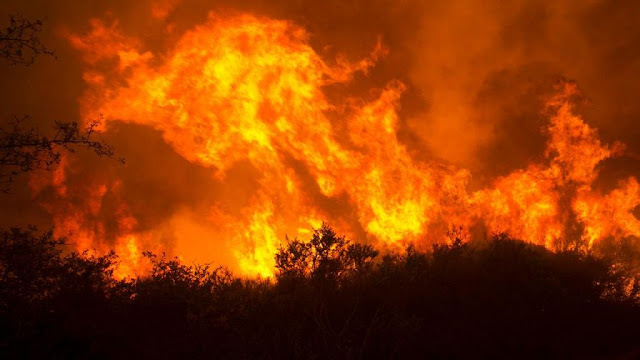 A report issued by California Insurance Commissioner Dave Jones highlights the devastation recent wildfires and economic brought on by wildfires. “The October 2017 wildfires resulted in the most destructive fires in the history of the state in terms of the number of structures destroyed. While claims data is still being received, the latest information is that this widespread destruction resulted in damaging or destroying more than 14,700 homes and 728 businesses, causing more than nine billion dollars in insured damages so far,” the report said. According to the coalition, Ventura County effectively used state funding to up-staff and pre-position 24 additional fire engines in anticipation of the wind event prior to the Thomas Fire. In addition, local government resources from around California were pre-deployed in Montecito and performed a number of successful swiftwater rescues. In addition to the California Fire Chiefs Association, coalition members include Metropolitan Fire Chiefs of California, Fire Districts of California, League of California Cities Fire Chiefs and FIRESCOP. The coalition plans to advocate for increased funding to protect our communities and residents from more severe and unpredictable weather events through legislative oversight hearings and the State Budget process. No Comment to " California Fire Agencies Call for Additional $100 Million to Combat Climate-Driven Disasters "